Toronto, Ontario. Mawenzi House. 2018. 112 pages. 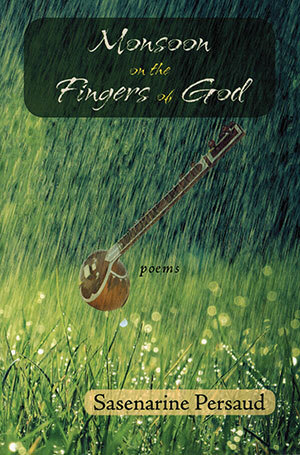 Reading Sasenarine Persaud’s newest collection, Monsoon on the Fingers of God, is like stepping inside a clock and running a thumb along each gear and dial in order to better understand time. These poems open with tenderness, as petals unfurl after rain—a rain that finds the speaker everywhere, from Hadrian’s Wall to the internet, gathering pieces of myth and history from all corners of the world to stage an inquiry into identity, language, and empire. we know the bile of a thousand years.